Every country has millions of cell phone users as there is no single person who doesn’t have a cell phone. If we’re talking about India, it is a manufacturer of different Indian mobile phones brands and few of them are Lava, Micromax, Intex, Karbonn etc. The use of these mobiles is getting reduced day by day because of many other international company’s mobile phones which are developed with new features, advanced benefits, and user-friendly outlook. This product India’s leading import commodity and this market intelligence info has been exposed by Seair Exim Solutions with the help of Mobile Phone Import Data along with appropriate shipping records. As per records of this intelligence report, Samsung is one of the leading import products of India. What’s covered in our import data of mobile phone? · Full specifications of an item like storage, brand, value, quantity etc. 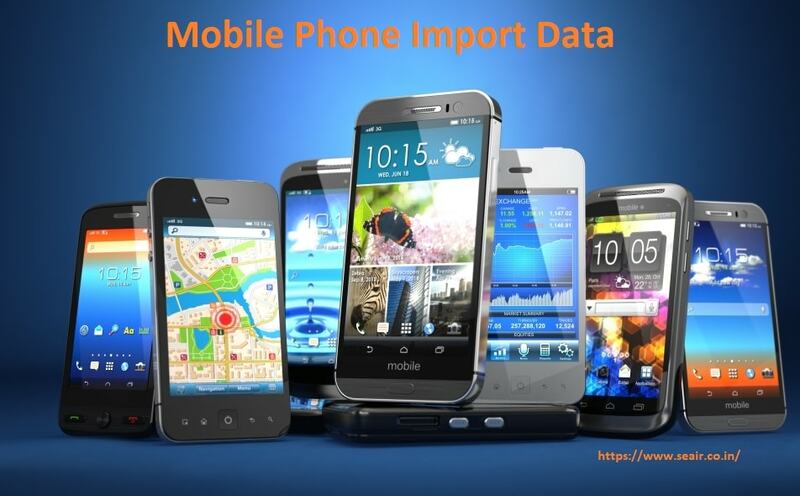 Mobile Phone Import Data report can use to know several details about imported mobile phone such as the date of consignment, Indian port, full description, quantity, price, certificate of origin etc. Have you ever wondered which nations export the most mobile phones? To whom, our import data of mobile phone is beneficial? We have collected import data from the Indian customs and also from trade associations, port authorities, and government bodies. Our data report is based on invoices, shipping bills, export bills and many other operational documents needed in the business of import-export. Mobile Phone Import Data is beneficial for active trading companies. You can take sample report of this data to understand about included records in actual data.